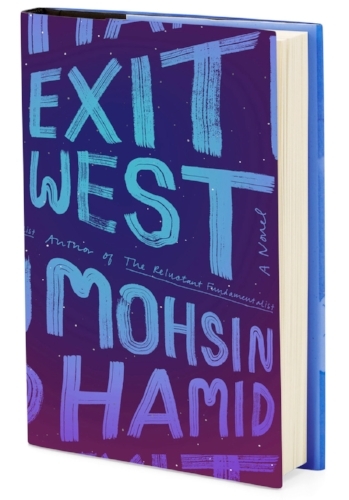 Exit West started out as a book I thought I was going to absolutely love. I believe it made President Obama's favorite books of the year list when it was released and is one I've heard a lot of love for. When we meet Nadia and Saeed they are on different paths in their lives and its the turmoil in their home country (which I don't believe is ever named) that brings the two together. When they do finally flee we not only get to understand the life of a refugee but also two individuals with their own hopes and dreams and relational struggles. And if there is one thing I can take away from Exit West is that when we think about refugee's or those fleeing countries to find better lives we often think of them as groups and not individuals. And Exit West despite being far from a perfect story reminded me over and over again that I need to personally change my perspective. That each of these people not only has families and friends but they have their own hopes, dreams, fears, and desires. And seeing those play out through the two main characters in Exit West was incredibly impactful. But as the two travel the world in search of freedom and a new life their relationship frays, their desires and ambitions change and things for the two become difficult not only for their lives but for their relationship. But towards the second half of the book, there's some really oddly twisting storylines that detract from the overall story. I also felt although most of the book is about Nadia and Saeed I was lacking the full understanding of them as human beings. There's some good build up at the beginning but it slowly goes to nothing at the end. When I reached the end of Exit West I went from incredibly strong emotions at the end of the first quarter of the book to mild interest and almost just happy it was over. I think Hamid as brilliant of a writer as he is (the first few chapters are amazing) lost his way towards the end. I do believe Exit West even given its flaws is a worthwhile book to read but its far from perfect.